Anatolia is like a river where the cultural and social heritage of the civilizations that it once embraced came together. Every community that lived on it turned it a mosaic composed of hundreds of colors. From architecture to music, from folk dances to traditions, many values melted in the same pot and had the chance to express themselves in this common homeland we call Anatolia. This cultural background which is not available in anywhere of the world has been an important factor in cultural and individual structuring of the civilizations throughout the history. Hacı Bektaş-I Veli who brought lion and gazelle together, Mevlana who said “Come again whoever you are”, Yunus Emre who expressed his humanism by saying “Love the created for the creator’s sake”, Pir Sultan Abdal who called people to solidarity by saying “Come, let’s be together” and Aşık Veysel who expressed the coalescence of God with human “Same existence in each body” played crucial roles in the formation of Anatolian culture with tolerance and philanthropy with their works and opinions. The poets who could bring the opposite poles of humanity together such as Ahmet Yesevi, Hacı Bayram Veli, Abdal Musa, Kaygusuz Abdal, Hatayi, Kul Himmet, Muhyi, Erzurumlu Emrah, Karacaoğlan, Seyrani, Teslim Abdal, Dertli, Dadaloğlu and Köroğlu always pointed the way the Anatolian folk to friendship, love and peace by diffusing from strings to tongue, from tongue to hearts. These and many Anatolian intellectuals we cannot mention here were the most important constituents of the common culture living on these lands. Their opinions has survived by being spliced for centuries until today and turned into a common cultural heritage connecting people. This common heritage that we call Anatolia has been enriched with the contribution of many poets and thinkers and this background played a significant role in the growth of new opinions and art leaders. 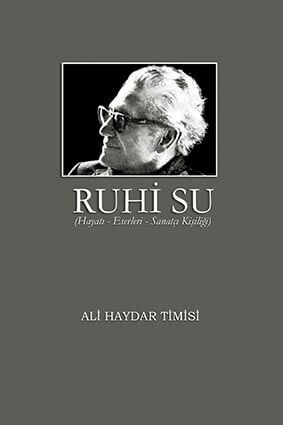 Here, Ruhi SU appears before us as a unique artist within this common cultural heritage in Anatolia and a great poet who has greatly contributed with his words to these beautiful discourses told for centuries. Apart from establishing a common ground for the works of thinkers and poets before him, he strived to bring these works into universality with his voice and interpretation. During his life of seventy-two years, Ruhi SU is a brave man who rose against the order like Pir Sultan, conciliated people like Yunus Emre, resisted to Bey of Bolu like Köroğlu, told love like Karacaoğlan, cried with laments, laughed with halays but never gave up the fight in despite of all kinds of difficulties he had. A country where the artists like Ruhi SU were not strangled due to their ideas must be enlightened in the light of our opinions shaped with tolerance and awareness. It must not be forgotten that the names of the shaykh al-islam who gave fetwa for killing of Yunus Emre, the executioner who skinned out Nesimi and Bey of Bolu who declared Köroğlu a bandit are not mentioned in these lands by anyone. The discourses of these thinkers who provided insight with their opinions and arts for the community still refer to a certain lifestyle even in the remoter villages of Anatolia. Thus, we should not judge artists who were born in Anatolia due to their religions, observances, opinions, political views and ethnical identity and we should be aware that we will play a part in this cultural heritage of the world with the diversity and differences of our values.